With hundreds of models and dozens of manufacturers vying for your money, how can you possibly pick the best tablet? Thankfully, you don’t need to worry about spending hours comparing specs or poring over complicated hardware data. We already took care of all that hard work and came up with the top 10 options for every kind of buyer. 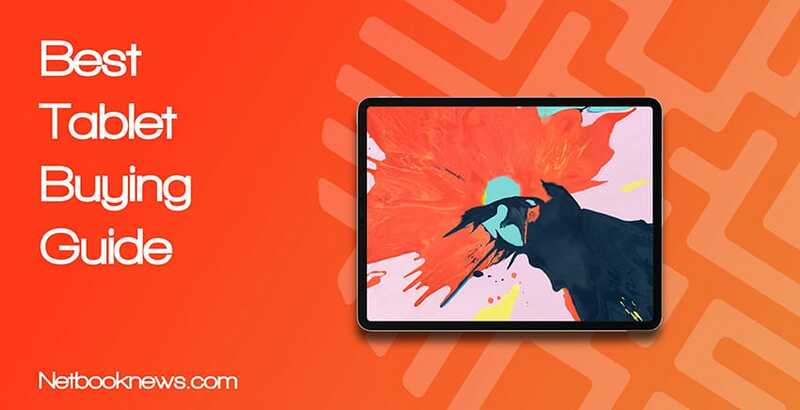 Whether you need a high end device for business, a sturdy (and cheap) kid-friendly unit, or anything in between, we can show you the best tablet on the market for your needs! 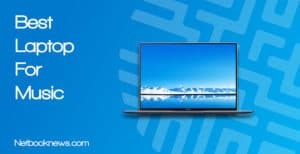 Jan 28th, 2019 by Ty Arthur: In this update we’ve rounded up 10 options across every price range and usage to get the 10 absolute best units that are all currently in stock at Amazon. Looking for a thin, stylish tablet with tons of processing power and all the extra bells and whistles? The MediaPad M5 Pro is our top pick for the absolute best Android tablet available this year! From the gold finish to the slim bezels to the crisp 2k display, everything about this model is designed with premium quality in mind. Whether you use a tablet for designing graphics, playing games, sending emails, or keeping track of business docs, this nifty little unit has you covered. The price is quite high, but you also get the stylish M pen right out of the box, which makes it a better deal than many similar models. 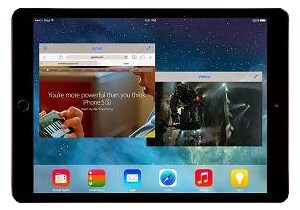 Looking to keep the size and form of a tablet but don’t want to give up the operating system you already know how to use? 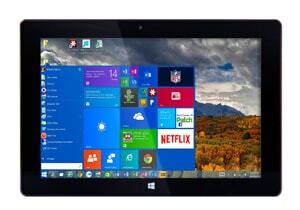 Fusion5 has the best Windows tablet available right now, and best of all, it’s at a killer budget price as well! Tablets and ultrabook laptops are starting to become interchangeable these days. With so much overlap, it shouldn’t be much of a surprise that the full Windows experience is available in a tablet. When you need an operating system that’s familiar and has all the apps you already use, this model is the way to go. With a full 4GB of RAM and 64GB of storage space, you get much better speeds than with lower end 2GB Windows tablets. If you aren’t saving your work docs or music files in the cloud, make sure to buy a microSD card, however! A whole bunch of that 64GB is taken up by Windows, so you’ll want more storage capacity. Willing to spend a lot more? If you don’t mind going above a grand, be sure to check out the Microsoft Surface Pro contender listed below as well. 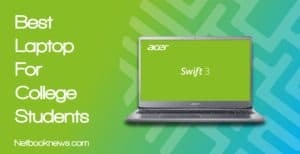 Need to save money but still want a solid tablet with quick speeds and lots of options? Lenovo’s Tab 4 is the best under $200 option when picking a tablet PC. With mobile electronic devices, it is absolutely true that you get what you pay for. That being said, if you shop smart, you can find models with great specs that are available at reasonable prices. That’s what you get with the Lenovo Tab 4, which is available well under $200 but performs like a more expensive machine. 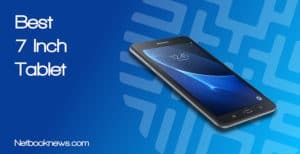 With this combo of newer Android OS with a decent CPU and plenty of RAM, you won’t have any problems running apps smoothly. It may lack the flash or extra features of pricer models, but the Tab 4 performs like a champ and will easily meet the needs of most tablet users on a budget. Looking for the most possible power while staying in an affordable price range? 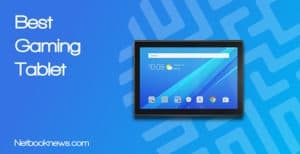 The Hi9 Air can handle absolutely any apps you need to run for well under $300, making it one of the best budget tablets on the market. 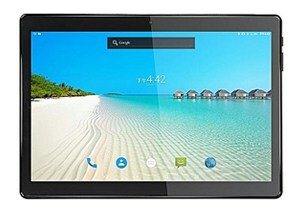 When shopping for a new tablet, it is very rare to find a device at this price range with 4GB of RAM. Not only do you get that much RAM and an extremely fast processor, but there’s another huge bonus to going with this model. Love streaming HD video or playing the latest graphics-intensive apps? That’s no problem with a stunning 2k screen! A 2k display for under $300 is an absolute steal, as there are $400 models that still don’t feature that level of resolution. When you consider that this unit also has a SIM card slot, picking the Hi9 Air is an easy choice for nearly any kind of user. Don’t want to spend an arm and a leg on a new tablet for the kids that will just get broken anyway? 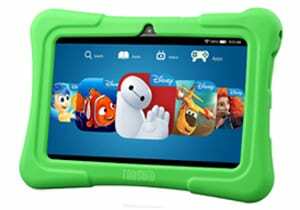 If you need an inexpensive and durable option for the little ones, the Dragon Touch is easily your best tablet pick for kids of any age. Tablets are an absolute godsend to parents, as they can easily keep children occupied while waiting in long lines or doing the weekly errands. There’s a major problem to overcome there, however — tablets aren’t exactly super durable. That’s where a model like the Dragon Touch comes in. If little Billy needs to watch his favorite Hulu show in line at the bank to stay calm, you don’t need to worry about an accidental drop or spill. This unit already comes wrapped in a protective silicone cover, and with the wide 10” screen, even little toddler hands can easily hold it up. The Dragon Touch is available in pink or blue, depending on what color scheme your little one prefers. Need a highly reliable tablet that performs more like a full sized laptop? The Surface Pro 6 is easily our top tablet pick for businesses in any line of work. Whether you run a coffee shop that needs a mobile device for charging cards or you design high resolution graphics for ad campaigns, a reliable tablet is a must-have for any business. If you want the absolute best-of-the-best, we recommend the Surface Pro. 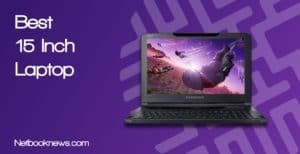 You’ll have to spend as much as if you bought a full sized laptop, but you’re getting a full laptop’s worth of performance and features in return. Between the low weight and huge power, this is a winning pick for any office or business application. Prefer the Chrome OS over a full Window 10 machine? For a few hundred dollars less, the Google Pixel Slate is another excellent business pick. Looking for the absolute best in terms of quality, comfort, and screen resolution at a great size? The Apple iPad Pro is our top pick for the best 10 Inch tablet you can buy online today. When someone asks “what is the best tablet?,” the answer is usually the iPad Pro. This nifty little device has been leading the pack in mobile devices for years, and it isn’t hard to see why. With a comfortable rounded back, a very high quality display, and a ton of extra features, there’s a whole lot to love with the iPad Pro 10” model. Unfortunately you need to buy the keyboard and Apple Pencil separately, but if you get them, this is a tablet experience that is second to none. If you prefer the 10” size and want a premium experience, this is the tablet to get. Prefer Android instead? Check out the next contender for the best tablet to buy if you aren’t an iOS fan. May be the screen size is too big or too small for your taste? We recommend you to checkout other buying guide in our best tablets by screen size series. Looking for a tablet that’s as high quality as the iPad but uses Android instead? 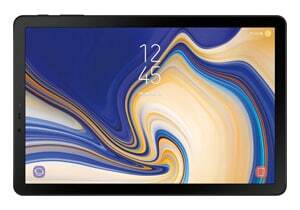 The Galaxy Tab S4 is our pick for the best Samsung tablet currently available on the market! 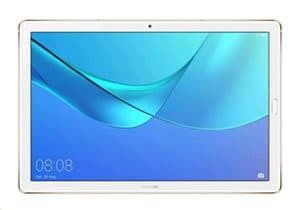 For Android fans, it doesn’t get much better than the Samsung Galaxy Tab S4. 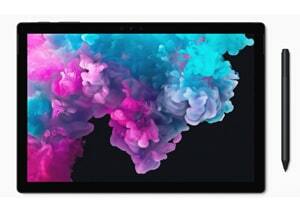 Between the super high resolution display to the blazing fast specs, this is the tablet to look out for when you don’t mind spending a bit more. While not a budget unit by any means, it is worth noting the S4 is much less expensive than the iPad Pro or Microsoft Surface. This model also includes the S Pen right out of the box, putting it above many competing devices. That pen is an Incredibly versatile extra feature, letting you write personal notes, magnify sections of text, and so on. If you buy the separate keyboard cover and use DeX mode, you are essentially getting a laptop as well as a tablet for the cost of one device. Mostly want a tablet for catching up on your favorite book series or staying up to the date on the latest news? The low cost and high quality makes the Fire 8 our top pick for reading when buying a tablet. Expensive tablets that serve as laptop replacements, may be all the rage but not everyone needs that much hardware in their portable device. When you mostly just read eBooks and browse the web, there are much cheaper options that will more than meet your needs. For avid readers, the Fire 8 is our top pick. 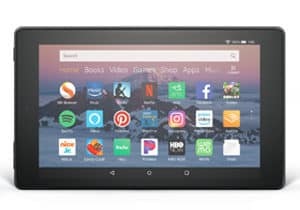 You get a very solid device at reasonable pricing with a great screen for spending hours reading fantasy novels, political thrillers, or steamy romances. The Fire also comes in multiple color options, and you can get a 32GB version for about $30 more if you have lots of files to store on your tablet. Want a bigger screen for reading eBooks and magazines? The Fire is available in a larger 10 inch version with more storage space. Like the portability of a tablet but want a bigger display that’s closer to a full laptop in size? 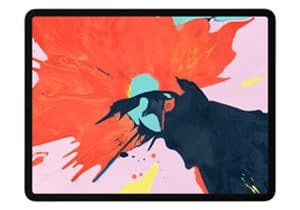 If you need a big, beautiful viewing area then the iPad Pro 12” version is our pick for the best large screen tablet on the market. At a whopping 12 inches, this larger version of the iPad Pro is nearly a laptop in its own right! You’d think a device with so much surface area would be extremely heavy, but this model is still incredibly sleek and lightweight. With all the power of an iPad Pro and more view space, you get the best of all worlds. There are plenty of extra bells and whistles to justify the high price as well, like facial recognition for the latest in tablet security. If you’re willing to spend another hundred bucks, the 12” iPad Pro also comes in a cellular version to use on your mobile carrier plan. 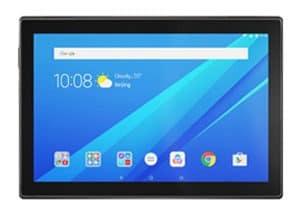 It doesn’t matter how much money you save if your tablet is frequently lagging or freezing, so be sure to find the best possible hardware specs you can get in your price range! There are plenty of mobile devices out there with more RAM and higher end CPUs than the average user needs, but in general there are some clear guidelines to get the best experience no matter what kind of apps you use. We highly recommend 4GB for the best overall experience with Android, iOS, or Windows devices. If you are on a budget, some devices will work out just fine with only 2GB if you are picking an Android or iOS device, but that amount will be too low for a Windows 10 unit. One of the most frequent reasons buyers leave negative reviews is dealing with short battery life, so don’t skimp on this important feature! It’s important to keep in mind that battery life estimates often vary wildly from reality when a device is actually being used. If you keep the brightness down and mostly stream videos or read news though, your tablet will frequently get close to the listed estimation. To avoid having to frequently plug in, we recommend picking a device that lists between 8 – 13 hours of battery life. Since you will spend literally all of your time using a tablet looking at the screen, this is probably the single most important spec to consider. Screen resolution is one area where even tablets in the same price bracket can have very different specs between models and manufacturers. Unless you are specifically looking for an eReader, we strongly recommend a tablet with at least 1920 x 1080 pixels resolution. When you demand the highest quality display for streaming HD video, it may be worthwhile to spend the money on a higher end 2k or retina display instead.